During the first four successful years of our construction company Webster Developments, we enjoyed building dream homes & renovating projects for private clients. As much as we enjoy and continue to take on these projects, our passion for designing and building unique luxury developments led us to establish Webster Homes in 2014. Our first project was converting a church building in Mill Street, Kinross, into six contemporary apartments. 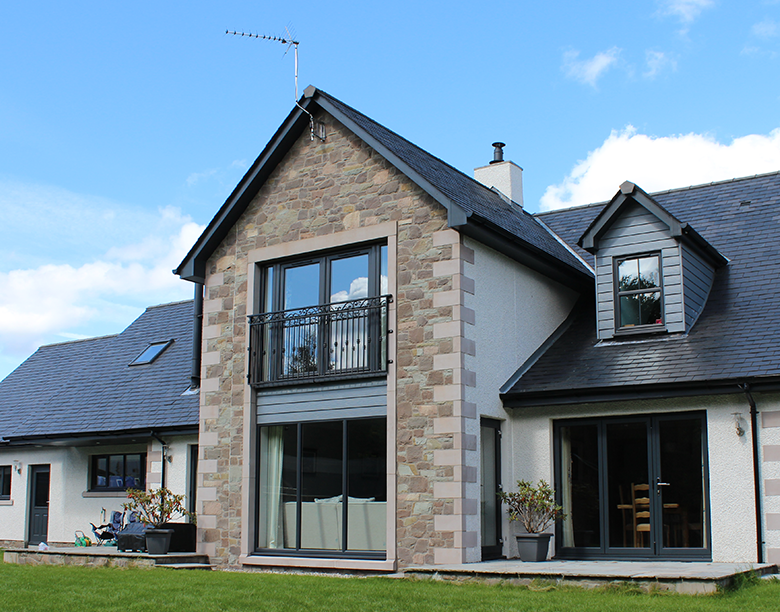 Our projects we are currently developing include, a fine period property in cupar into apartments, New build homes in Crook of Devon and a hamlet of five, four bedroom houses in Gairneybank Kinross-shire. As well as building our own homes to sell, our partner company, Webster Developments can build your dream home from design all the way through to completion. We have been making dream homes reality since 2010. We employ a team of highly skilled tradesman to insure whatever we do, no one can do it better. "We are in the middle of purchasing an apartment in Cupar from Webster Homes, and can’t wait to see it finished after seeing their previous developments." “I purchased two of the Mill Street Apartments back in 2015 as buy to lets and was extremely impressed with the quality and the attention to detail." "We were extremely happy with our new family home in Crook of Devon. The quality of the workmanship we found to be a very high standard. We moved in in late 2016 and since then have loved showing our new home off."